Farmers and NYFC staff in front of USDA. Back row: David Rodriguez, Calvin Andersen, Peter Stocks, Erick Hansen (NYFC Staff). Front row: Emily Eckhardt, Brittany Arrington, Sophie Ackoff (NYFC staff), and Lizz Wysocki. Last Wednesday farmers from six states converged on Washington, D.C. for a whirl-wind round of meetings on Capitol Hill and at USDA. 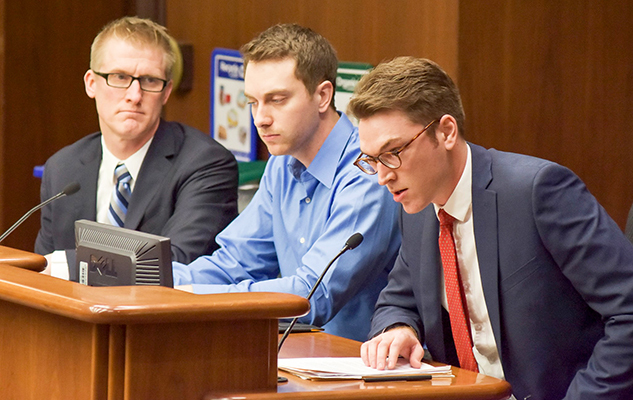 The event, known as a “fly-in,” was organized by the National Young Farmers Coalition to give young farmers a chance to advocate in person for the #FarmingIsPublicService campaign, which asks Congress to add farmers to the Public Service Loan Forgiveness Program. The fly-in was made possible with support from Applegate, a natural and organic meat company dedicated to supporting farmers. Emily Eckhardt, livestock manager at Swallowtail Farm in Alachua, Florida. Lizz Wysocki, farm manager at Zilke Vegetable Farm in Milan, Michigan. Dustin Stein, owner of Stubborn Farm in Mancos, Colorado. Calvin Andersen, co-owner of Grow Local farm in Neenah, Wisconsin. Peter Stocks, who farms with his family on their eighth-generation farm in Dalton City, Illinois. Brittany Arrington and David Rodriguez, who operate Zajac Farm in Columbus, Pennsylvania, which has been in David’s family for more than 100 years. Each of the farmers who participated have student loan debt that is impacting their ability to build successful farming careers. And they aren’t alone. A survey conducted by NYFC points to student loan debt as one of the key barriers contributing to a shortage of young farmers. Among NYFC survey respondents, 30% said their student loans were preventing or delaying them from making farming their career and 28% said student loan pressure has prevented them from growing their farm business. 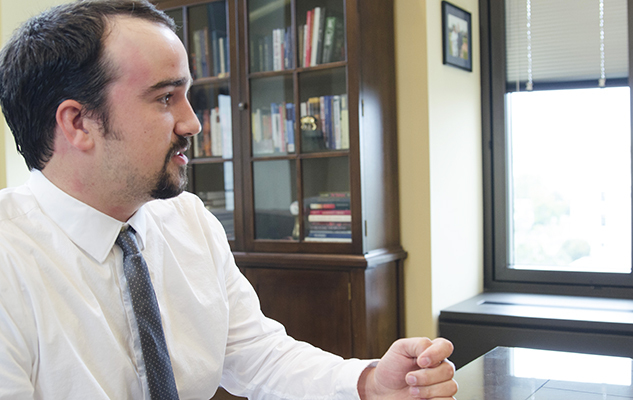 Peter Stocks, a young farmer from Illinois, discussing his farm with staff from Sen. Toomey’s office. In a changing agricultural landscape, many farmers are finding their college degrees more essential than ever, but also more expensive than in past generations. 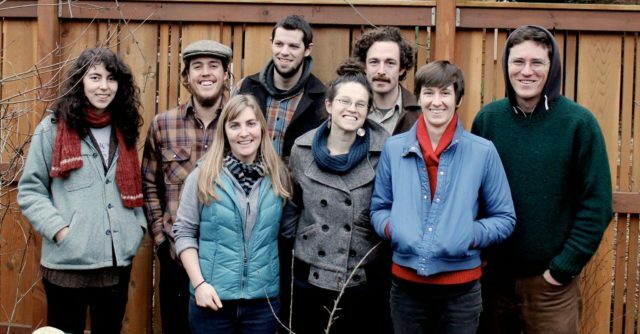 Many are tempted to leave the farm for a more lucrative career so they can pay off their loans. Peter Stocks grows corn and soybeans on his family’s eighth-generation farm in Dalton City, Illinois. After receiving his degree in agricultural economics, he had the opportunity to earn a steady salary working for an international agri-business corporation, but instead he eventually returned to his family farm with the hope of making improvements that will benefit both the farm’s ecology and their bottom line. 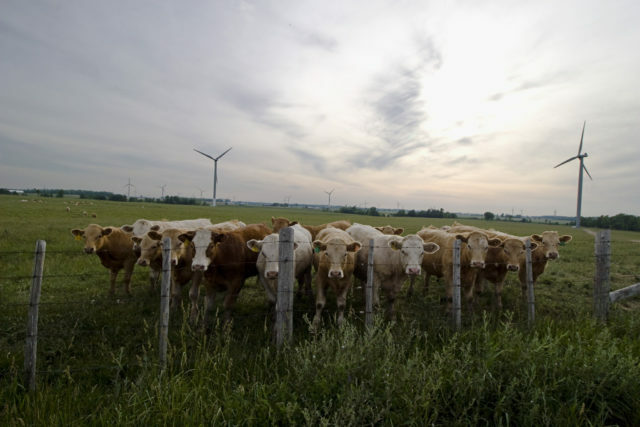 On Wednesday he told staff in Sen. Durbin’s office that if his generation can’t afford to take the reigns of America’s family farms, consolidation and industrialization is the likely alternative. “I am worried about a future where St. Louis and Chicago are separated by nothing but millions of acres of automated corn,” Peter said. 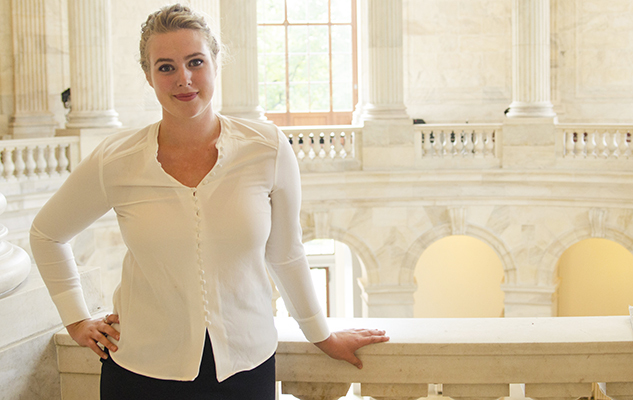 Lizz Wysocki after a meeting with staff from Sen. Stabenow’s office. On the other end of the spectrum are young farmers like Lizz Wysocki, who didn’t grow up on a farm or discover her love of farming until after college. “I took what I thought would be a temporary field labor job, but I knew right away that this was it, farming was what I wanted to do,” Lizz said. Lizz is currently the manager at Zilke Vegetable Farm. She would like to own a farm of her own one day, but saving money is difficult because of her monthly loan payments. Lizz was able to tell her story to staff in Sen. Stabenow’s office on Wednesday and to Deputy Secretary of Agriculture Krysta Harden in a group meeting on Tuesday. 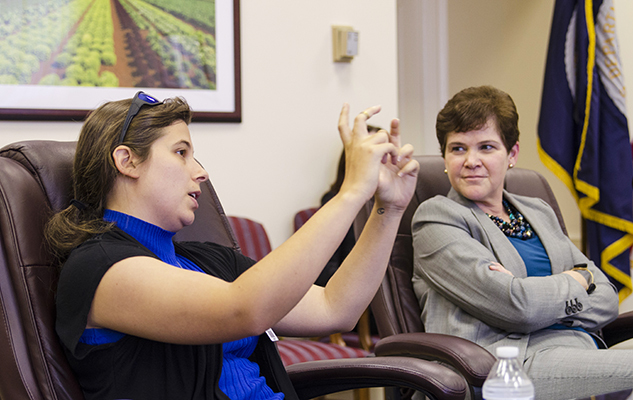 ABOVE: Brittany Arrington tells UDSA Deputy Secretary Harden about plans for her farm. BELOW: Calvin Anderson with Sen. Baldwin and Emily Eckhardt with Rep. Yoho. 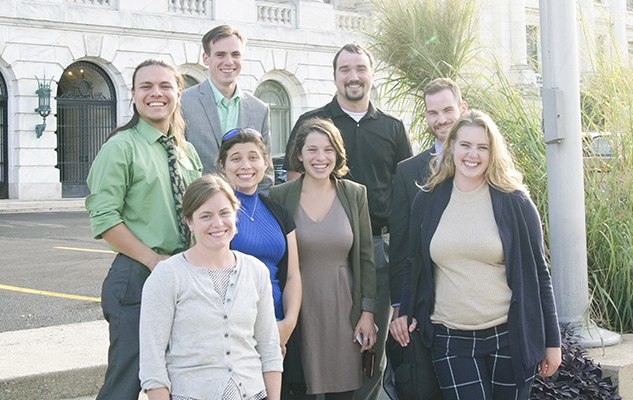 Altogether, young farmers attended 18 meetings on Wednesday in addition to the Tuesday meeting at USDA . 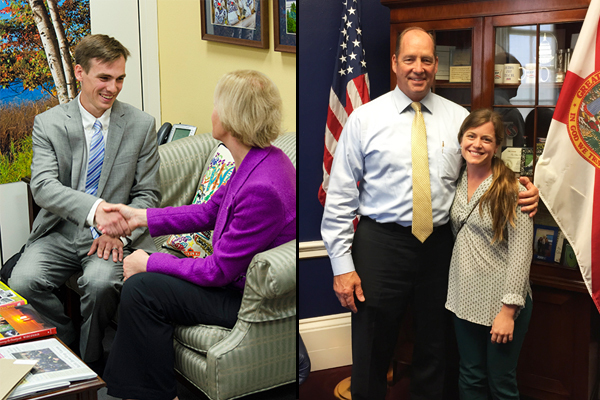 In some cases, meetings were with Congressional staff, but farmers we able to meet directly with Sen. Baldwin (WI), Rep. Yoho (FL-3), Rep. Davis (IL-13), Rep. Tipton (CO-3), and Rep. Walberg (MI-7). In Tuesday’s meeting at USDA, Deputy Secretary Harden said that while she has made young and beginning farmers a priority, USDA is still working to implement a number of reforms that NYFC recommended in a 2014 letter to the agency. Harden acknowledged that seemingly small changes, such as moving various program application forms online, would make a huge difference to young farmers but also require a lot of planning and legwork. When voters take time out of their lives to visit their Senators and Representatives in-person, it can make a huge impact. But the next-best thing is making a phone call or sending an email about the issues you are passionate about because, crazy as it sounds, almost no one takes the time to do that. If you take action, you are the rare, important, and heard minority. Support the #FarmingIsPublicService campaign by asking your Representative to cosponsor the Young Farmer Success Act. If you click the button below, you will become an important voice in the political system. And young farmers will thank you.